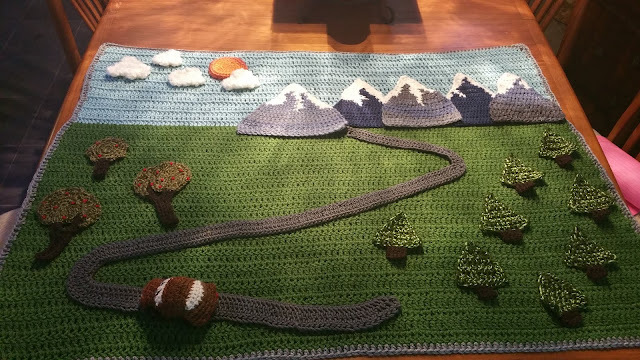 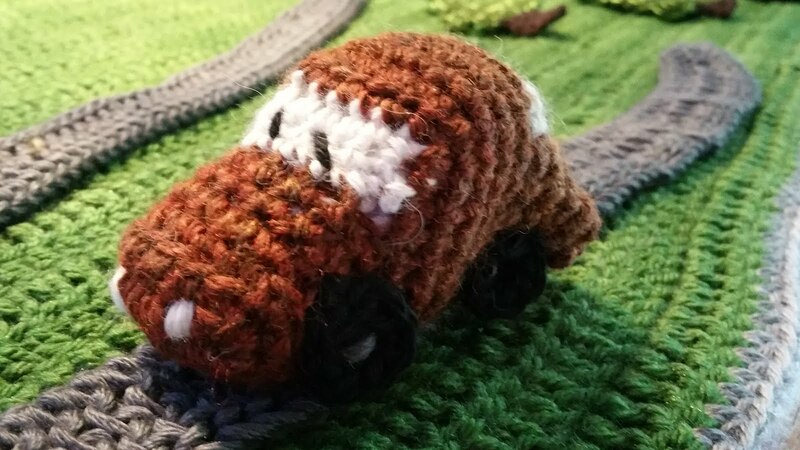 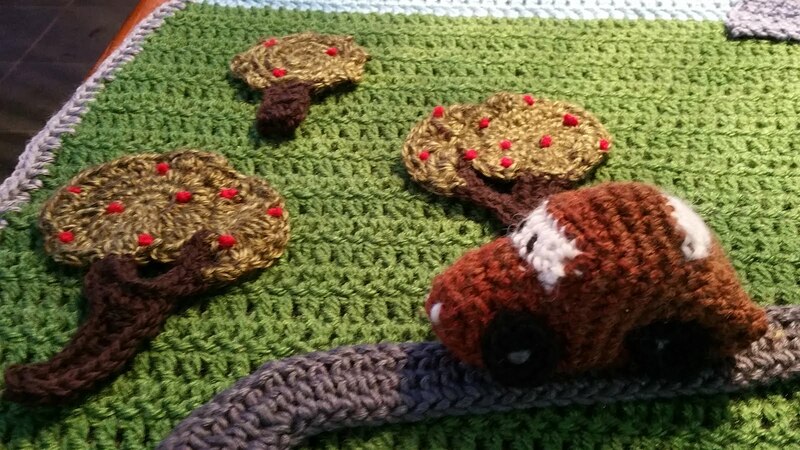 I got the idea from The Friendly Fox- Road Blanket, I did tweak my blanket to make it a little different searched Pinterest of course to find what I wanted- different types of trees, snow on mountains and shapes (took me several tries to get the look I wanted), and of course the little car.. I wanted Carter to be able play on the road with his car. It turned out great! 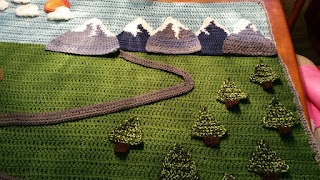 And with my Mother-n-Law Martina's sewing all my appliques on the blanket we got it done in time! 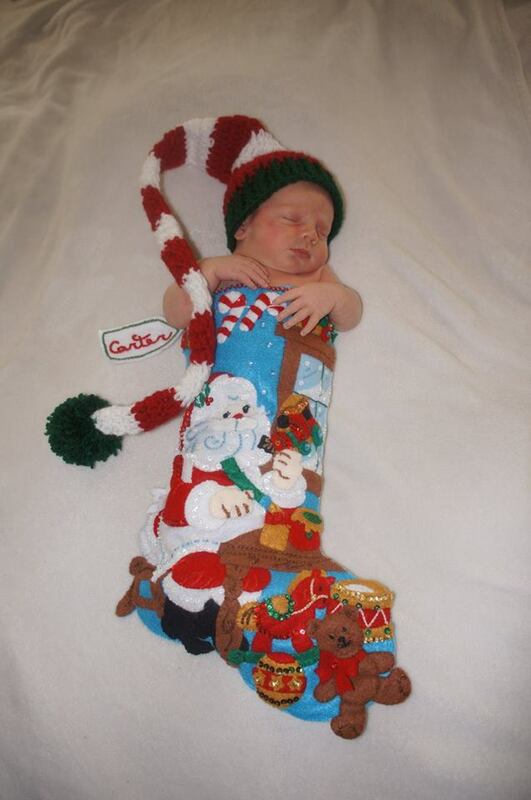 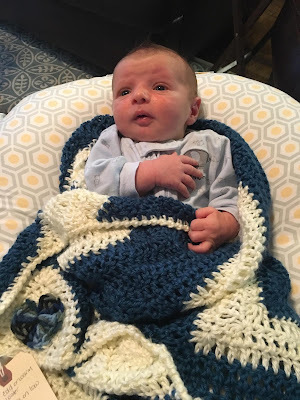 This pic is on his way home from the hospital and it actually still fits him. 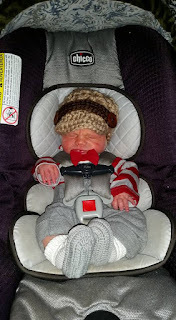 News Boy Hat u can buy pattern on etsy. 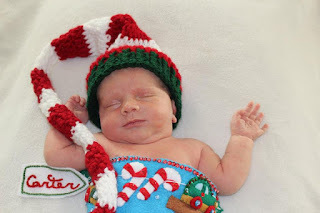 We always have Christmas at my Sister Tamara's House so I had made all of us Christmas hats several years ago, and little man was just in time for Christmas he needed to have a hat to :) elf hat- you can buy pattern on etsy.